sa mga cubers na nameet ko sa YM, thanks din sa inyo, and do hope this forum will progress as more and more pinoys will enjoy this coolest game on the planet..
JB, lester and Mat, thanks! thats a step forward! great! Sir Lester, suggestion lang po. Might be better if the http://www.pinoyspeedcubers.com redirects to http://pinoyspeedcubers.forumotion.com instead of the way it is now. 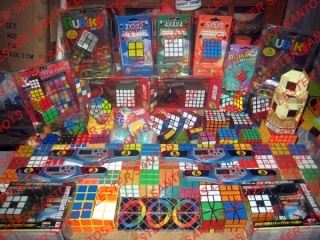 Ngayon kasi, naka-frame lang yung pinoyspeedcubers.forumotion.com sa loob ng www.pinoyspeedcubers.com page. The problem is, naka-"mask" yung URL nung page, meaning, hindi siya lumalabas sa address bar ng browser. Mahirap mag-copy ng URLs.